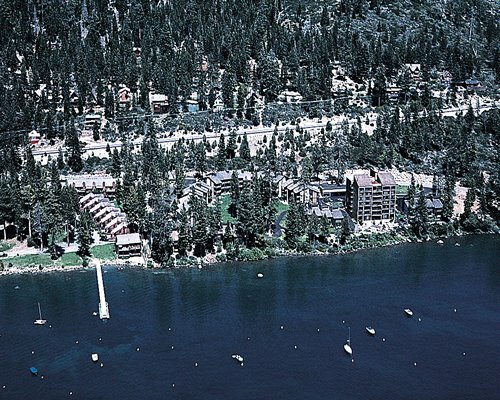 The beautiful pine trees of Lake Tahoe's north shore surround the well appointed vacation homes at Brockway Springs Resort. 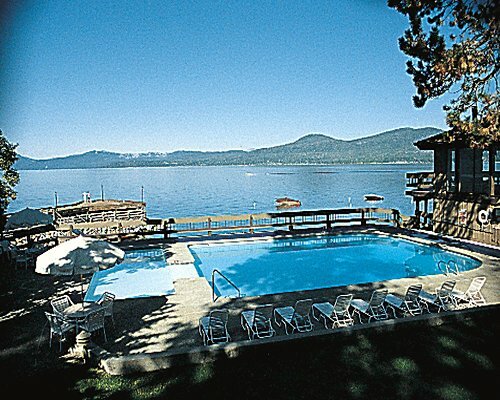 The cottages are conveniently situated within close proximity to the resort's private lakefront clubhouse, saunas, a boat dock, a heated swimming pool, tennis courts, and a half-mile of wooded and level shoreline for leisurely strolls. In winter, Tahoe's many ski areas can be found close by, each offering a range of skiing challenges. Ski, gamble at one of the local casinos and finish the day with a meal from one of the many fine restaurants in the area. The Reno/Tahoe Int'l airport, in Reno, NV, is 45 miles away. From Reno, take Hwy 80 west 25 miles to Hwy 267. Follow Hwy 267 south 12 miles to the Hwy 28 junction. Turn left onto Hwy 28 (Northshore Blvd) and continue for approximately 1 mile to Chipmunk Street. The resort entrance is on the right (lake) side of the street. SACRAMENTO/SAN FRANCISCO: Travel I-80 east to Central Truckee exit. Turn right onto Hwy 267 to North Lake Tahoe. From here follow above directions to Brockway Springs Resort. On-site construction or remodeling may disturb guests from October 15, 2018 to June 14, 2019. Unit remodeling resulting in possible noise disturbance and general construction inconvenience. On-site construction or remodeling may disturb guests from September 3, 2019 to April 3, 2020.